This popular lineup of roses has won 14 international gold awards for high performance and has become America’s best-selling ground cover roses. 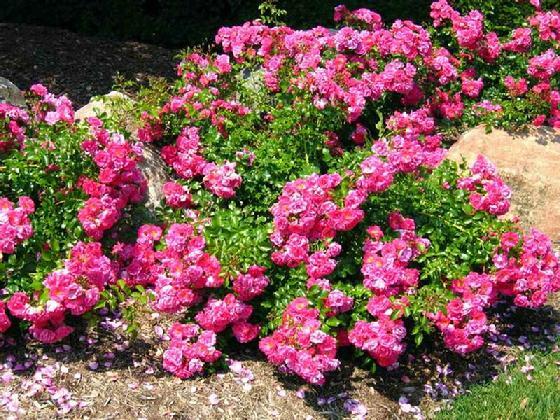 Flower Carpet roses are brilliant for landscaping, excellent for containers, bloom profusely spring until frost, display attractive disease resistant foliage and require minimum care. Award winning ground cover rose displays iridescent rose-pink blooms with gold stamens.